what is in the air, Gundersen said. Interview below. Source. pooling in the outer containment vessels, according to a report by the Japanese government . meltdown" and "the worst possibility in a nuclear accident." bringing the plant under control, including the time required to achieve cold shutdown of the reactors. may have to be revised in light of the report. buildings that house the reactors. elevated levels of radiation have been confirmed in the ocean off the plant. the task of cleaning up more difficult and expensive, as well as taking longer. estimated the failure at 15 hours later. although it will complicate the emergency recovery plan put forward by the government. the plant and the measures being taken to get the situation under control. University told The Daily Telegraph. "So it may take longer and be more difficult, but it is something they have to do. additional effects on human health," he said. 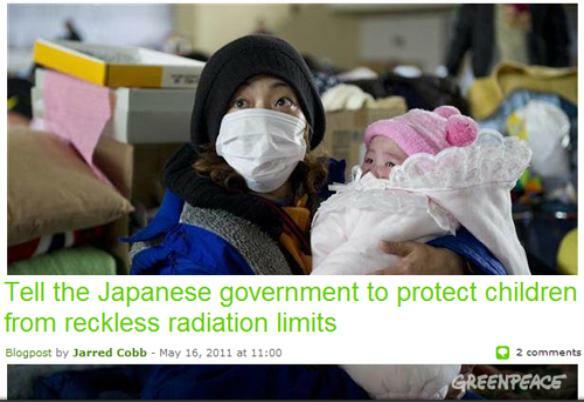 Fukushima. During his most recent interview on Rense, the following information was provided. ocean where it can be circulated far and wide. 2) There is available on the site, over 4,000 metric tons of nuclear fuel material both fresh and used. 28,592,667 times the maximum recommended amount. eventually make all of Japan uninhabitable. sending irradiated material into the air and the ocean.